These mushroom-shaped crystals are the trichomes, which contain most of the plant's active cannabinoids. Nobody wants to develop diabetes, but it happens all the time and is becoming more prevalent in our society. Type 2 diabetes is the most common form, comprising almost 95 percent of all diagnosed cases of diabetes. This form of diabetes is characterized by high blood sugar levels, insulin resistance, and low levels of insulin. This is a very serious condition that can result in things like heart disease, stroke, blindness, kidney failure, and more. Type 2 diabetes affects at least 29 million people in the U.S. alone. The deeper you dive into the statistics and complications around this ailment, the more alarming it is. And there’s also the rising economic toll. For instance, in 2012, diabetes cases cost the U.S. an estimated $245 billion. Staggering to say the least. Luckily, type 2 diabetes can be prevented by eating healthy and maintaining an active lifestyle. And we are also learning – through scientific evidence – how cannabis can play a role, not only in prevention but also treatment. 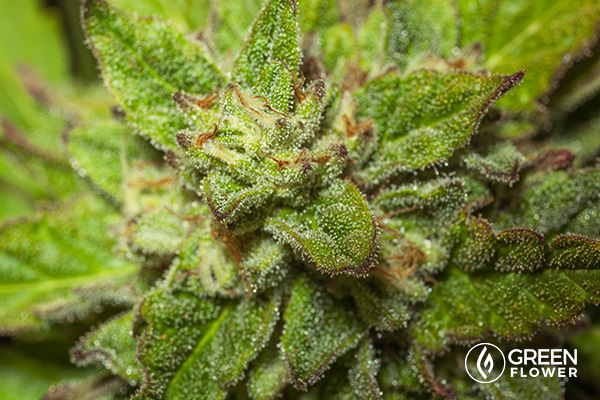 THCV is a protagonist of THC. While cannabinoids like tetrahydrocannabinol (THC) and cannabidiol (CBD) get the most mainstream attention, they are really the tip of the proverbial iceberg when you consider all the other compounds in cannabis including other cannabinoids, terpenes, and flavonoids. However, there is one cannabinoid growing in popularity, and for good reason. Tetrahydrocannabivarin (THCV) has been referred to as 'the sports car of cannabinoids' by Steep Hill Laboratories because of how it affects euphoria. And euphoria is only a small part of the equation here. As with every cannabinoid, there are valuable healing properties in THCV, which are being applied to various ailments, including diabetes. Let’s take a look at how THCV can keep type 2 diabetes in check. Insulin levels are at the heart of monitoring and treating diabetes. A 2013 study looked specifically at how THCV affected insulin levels and insulin processing in mice. They found that this cannabinoid can improve glucose tolerance and restore insulin signaling. 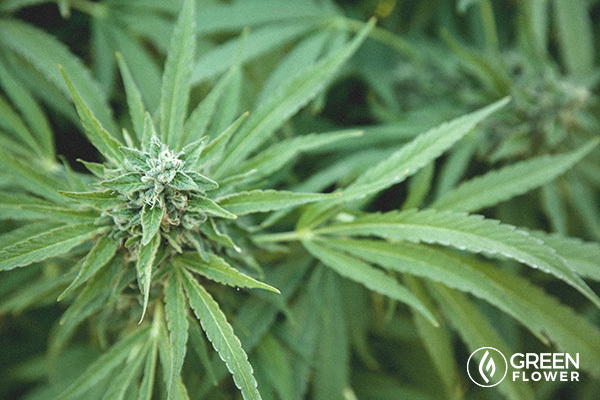 "Subjects who reported using marijuana in the past month had lower levels of fasting insulin and HOMA-IR [insulin resistance], as well as smaller waist circumference and higher levels of HDL-C [high-density lipoprotein or 'good' cholesterol]." A strong side effect of THCV is appetite suppression. 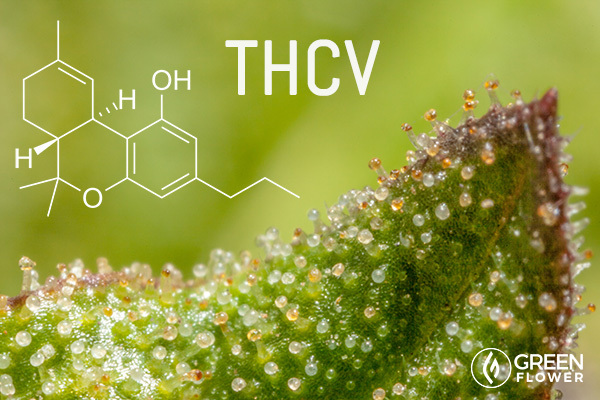 Researchers have found that THCV can suppress appetite. Overeating and poor diet contribute to obesity, which in turn contributes to diabetes, so this property of THCV should be of particular interest to diabetics or people struggling with obesity. The current understanding is that THCV essentially blocks the rewarding sensations of eating unhealthy food, which could explain why cannabis consumers are on average slimmer than non-consumers. If someone is overweight or obese – critical risk factors for type 2 diabetes – they may be able to benefit from incorporating strains that are high in THCV. On the flipside, this cannabinoid is not ideal for conditions like cancer, HIV/AIDS, or Crohn’s disease. The psychoactivity brought on by strains high in THCV has been described has ‘clear-headed’ and ‘energizing’, which could inspire increased physical activity for a lot of people. Although the effect typically does not last as long compared to THC-dominant strains, this could be a great example where micro-dosing throughout the day would give you more benefit. What strains are high in THCV? When it comes to strains high in THCV, some of the most commonly mentioned strains are Durban Poison, Doug’s Varin, Jack the Ripper, Dutch Treat, Pineapple Purps, and Skunk #1. THCV levels are not as high as THC and CBD, so when you see a flower strain that has .5% versus 1% THCV, that's a very significant jump. Be aware that high THCV levels are associated with sometimes energetic psychoactivity, which comes on very quickly. It's important to keep that in mind when you are consuming strains that are high in THCV or recommending them to others. If you are experiencing diabetes, you’re not alone. The number of people with diabetes has been rising at a rapid rate worldwide for decades. Type 2 diabetes is best addressed with lifestyle changes including diet and increased physical activity. Cannabis, it turns out, can also add real value here. Watch this video to learn how cannabis can help relieve diabetic patients, both short-term and long-term. Cannabis for fibromyalgia? It could be the best treatment option.